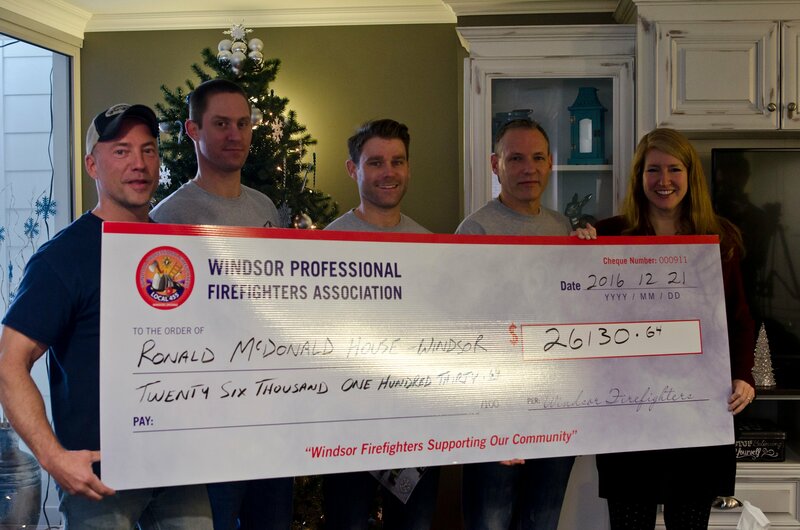 The Ronald McDonald House, located on the third floor of The Windsor Regional Hospital’s Metropolitan Campus, received a donation of $26,130 from Windsor Firefighters today. The money was raised through the sale of their annual Windsor Firefighter Charity Calendar. 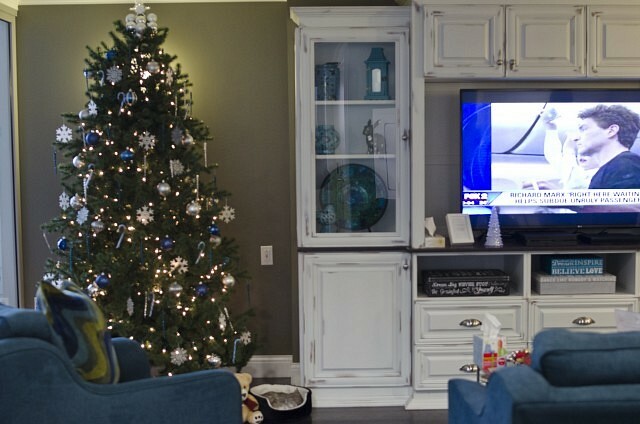 The Ronald McDonald House, which has been open in Windsor since May 9, was an easy choice as this year’s recipient, as two members of Windsor Fire have utilized the service in London. Firefighter Aaron Campeau was one of these. 2,900 calendars have been sold, and Campeau believes the popularity of the product is due in part to the choice of charity. 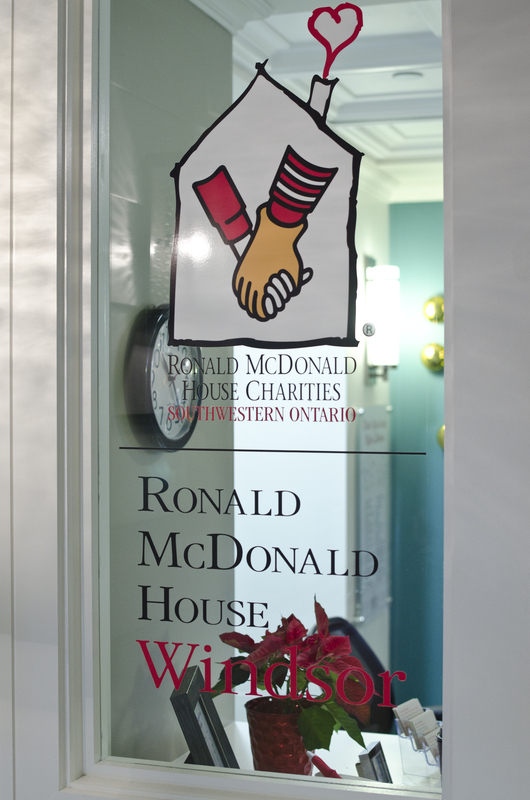 Jenne Wason, Director of Development for The Ronald McDonald House Charity in Southwestern Ontario, is thrilled about this donation and the community support for The House. 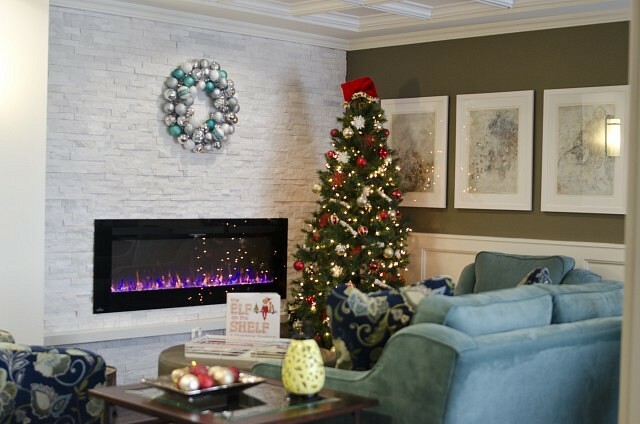 The donation will benefit The Ronald McDonald House in Windsor as well as London, as twenty-six per cent of the families served there are from the Windsor-Essex area, according to Wasson. 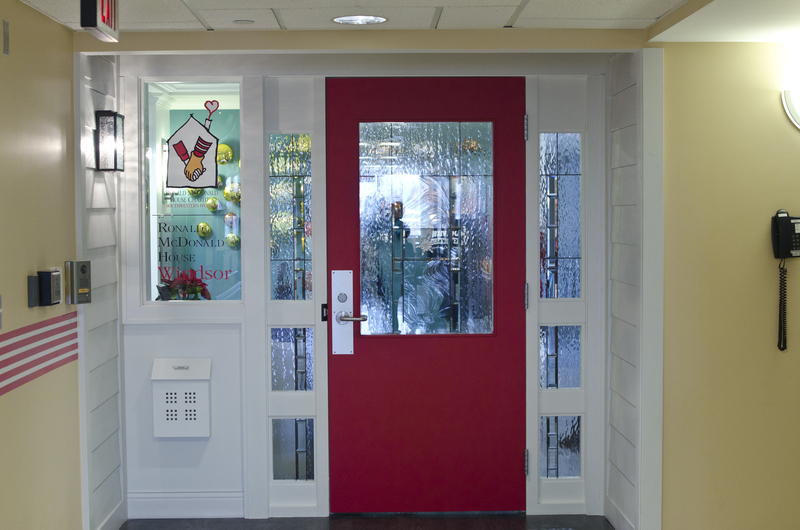 The Windsor location is the first in-hospital house in Canada, and since opening seven months ago has served seventy-two families for over-night stays and over three hundred on the day pass system.